ORLANDO, FL (July 5, 2017) – This past week 30 employees from several Correct Craft companies travelled to Pignon, Haiti, on an employee service trip. The employees left June 30th and returned July 3rd. 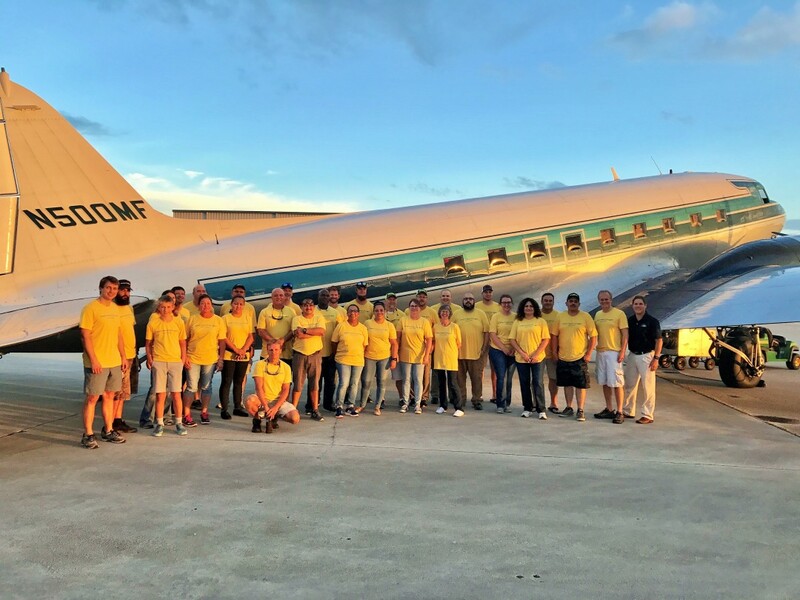 For four days, employee volunteers from Correct Craft and its various subsidiaries (Nautique, Centurion, Supreme, SeaArk, Bass Cat, and Yar-Craft) banded together to help the residents of Pignon, Haiti, an extremely poverty stricken community. During the trip, Correct Craft employees served a community camp by painting a large residence building, constructing soccer goals, building new seating benches for a gathering space, and making much needed electrical repairs. The Correct Craft team also purchased and distributed food to over one hundred families in the community. This recent trip is one of many taken by Correct Craft employees over the past ten years to serve in various communities around the world. Previous trips have included Correct Craft employees serving in Cambodia, India, Ethiopia, Kenya, Uganda, and throughout Central America and the Caribbean.